Our first Actionfigure is Diana Quirschfeld! Originally from Slovakia, she now lives in Utrecht and volunteers at Het Actiefonds in the East team. The East section deals with applications from Eastern Europe and the Middle-East. Diana talked to us about her beginnings as an activist, the film festival she’s organizing, and her fear that a functioning democracy makes people in the Netherlands less politically engaged. “I joined Het Actiefonds because I wanted to be closer to activism, to direct action, and grassroots organisations. Het Actiefonds itself also works more like a grassroots organisation: everyone’s there because they’re motivated and committed. 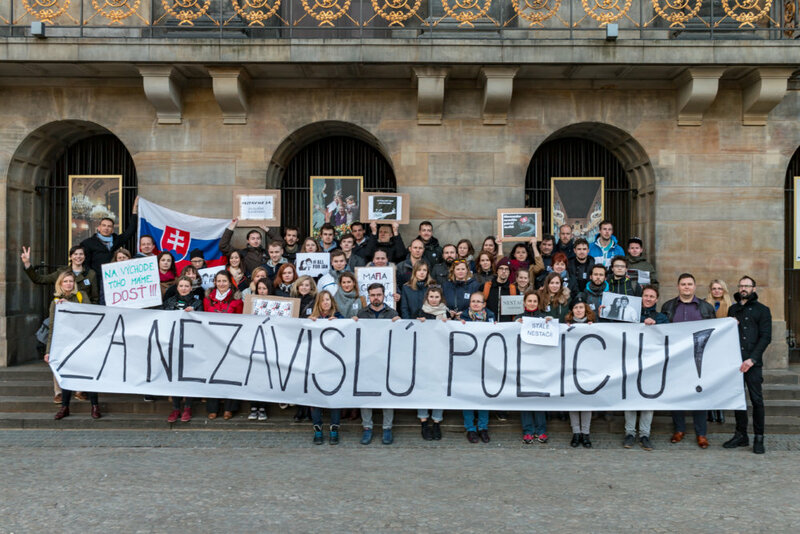 In the Czech Republic, I did civil society studies at university. When I was born, there were zero NGOs in Slovakia, and that was the only study programme on civil society in all of Eastern Europe. It didn’t exist because there was almost no civil society. 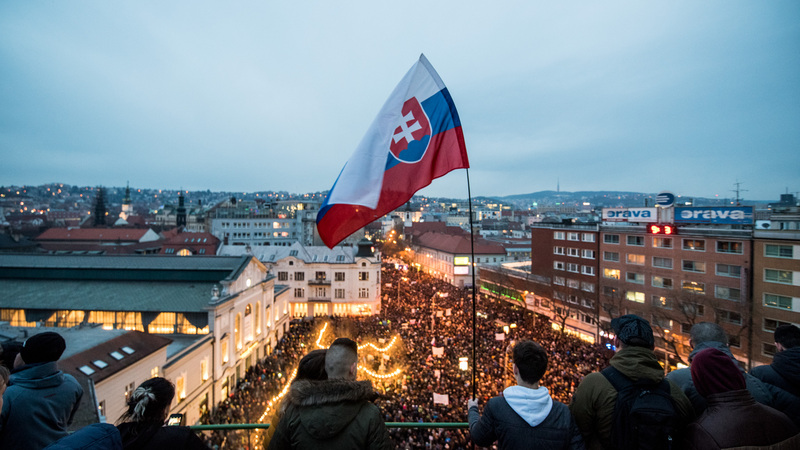 Foto Martin Ducháč / Dennik. “When I moved to the Netherlands I was looking for people that feel the same way about activism as I do. And it really took me three years to find a group like that. I think in the Netherlands people have been happy with their government for so many years, and they trust the police and government so much, that they’ve become lazy when it comes to activism. When the plane was shot down in Ukraine, there were massive protests in Slovakia and the Czech Republic, but there was nothing in the Netherlands. I was really shocked, because those were Dutch people! I think it really is because democracy has worked here well for so long, that people are just like – okay, this is not my job, this is not my business, it’s the government’s job to fix that, not me. “We’re not going anywhere.” Foto via Diana Quirschfeld. 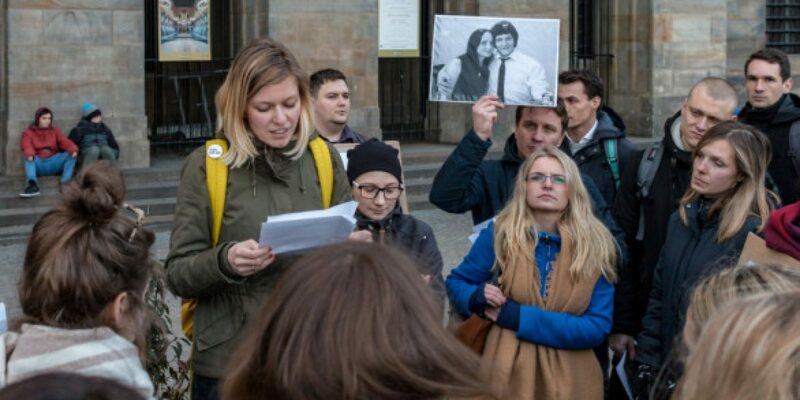 “Last winter a journalist was murdered in Slovakia, with his fiancée. Ján Kuciak was twenty-seven years old and he was an investigative journalist, investigating corruption in politics and business. 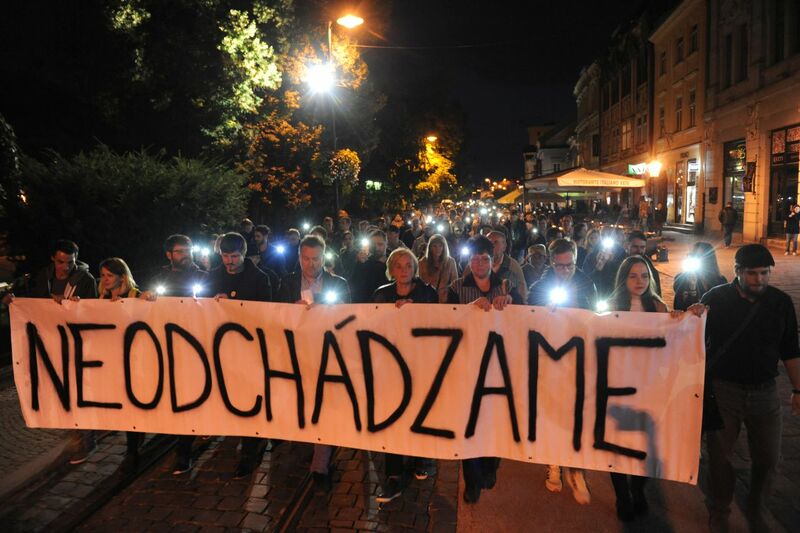 That led to the biggest protests in Slovakia since the revolution thirty years ago. We organized a small gathering here. The first protest was just a memorial for the journalist, we lit a candle in front of the embassy. 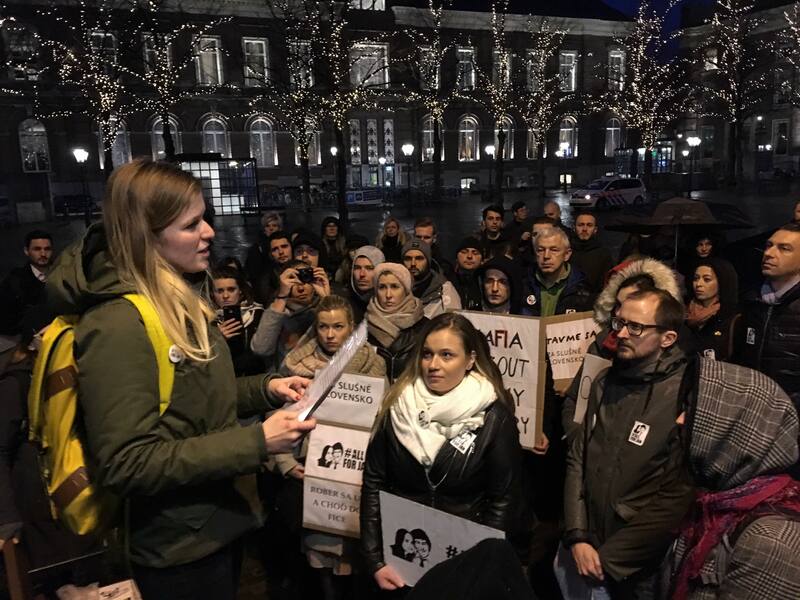 In total we organized about five protests in The Hague and Amsterdam. Now we are organizing a small film festival in the Hague, where we show anti-corruption documentaries from the Czech Republic and Slovakia, in November in Humanity House. We hope that we can get a discussion going with Dutch people, together with Slovaks. “It was really great to find people who consider themselves activist. I joined about a year ago, I think, and what we do is we meet monthly and we review proposals. Most applications come from Eastern Europe or Russia or Central Europe. 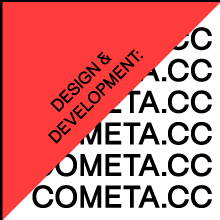 We discuss the proposals and decide if projects are in line with the strategy of Het Actiefonds. If needed, we check with the applicants and ask them some questions. We also try to reach out to our own networks. If we have a Slovakian or Czech group, I ask around: do you know these guys, are they for real? “For independent police.” Foto Martin Ducháč / Denník. 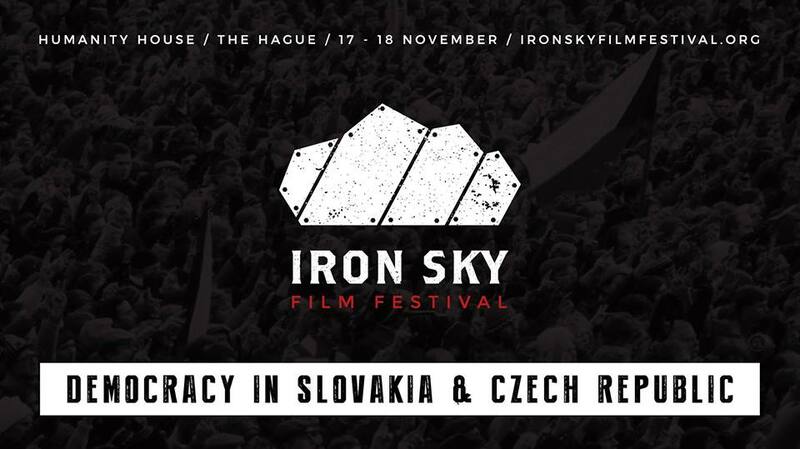 The Iron Sky Film Festival, co-organised by Diana, will take place on the 17th and 18th of November at Humanity House in The Hague. The festival will show films by Czech and Slovak documentary makers, whose work deals with themes of corruption and democracy in their countries. What is going wrong in these young democracies? And what has to happen to turn the tide? Click below to go to the event page on Facebook!